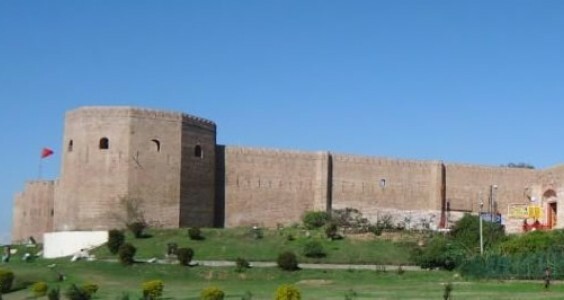 Bahu Fort, which also serves as a religious temple, is situated about 5 km from Jammu city on a rock face on the left bank of the river Tawi. This is perhaps the oldest fort and edifice in Jammu city. 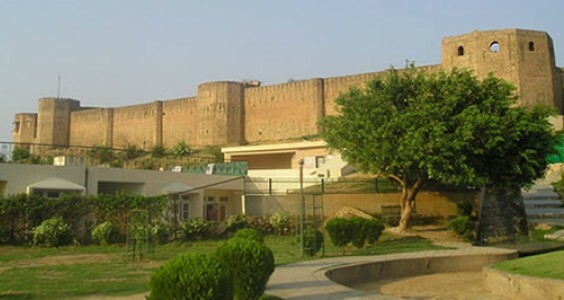 Constructed originally by Raja Bahulochan over 300 years ago, the fort was improved and rebuilt by Dogra rulers. Inside the fort, there is a temple dedicated to the Goddess Kali, popularly known as Bave Wali Mata, the presiding deity of Jammu. Every Tuesday and Sunday pilgrims throng this temple and partake in “Tawi flowing worship”. Today the fort is surrounded with a beautiful terraced garden which is a favourite picnic spot of the city folk. Bagh-E-Bahu located on the banks of Tawi river, is a Mughal-age garden. It gives a nice view of the old city and Tawi river. Bagh itself is very beautiful. There is a small cafeteria on one side of the garden.